The original and, many agree, the most prestigious annual sports awards presentation in Britain, largely based on the principle that the people who select the Sportsman and Sportswoman of the Year awards are the people who really know their sport: the SJA members. Of course, there are years when the ultimate winners stand head and shoulders above all rivals, and the 2005 selection, after a fabulous Ashes summer, was among the most clear-cut of decisions as far as the men’s award was concerned: Andrew “Freddie” Flintoff won by an overwhelming majority. Yet the show, a glitzy awards lunch at the SAS Radisson Hotel in London’s West End, was well and truly stolen by two of British sports’ most glamorous women competitors – Paula Radcliffe and Zara Phillips. Radcliffe took the Sportswoman of the Year award for the fourth time, this time after managing to win the marathon World title. Phillips, after her own spectacularly successful Three-day Event season, had galloped to the SJA awards from a horsey lunch at Olympia to collect the prestigious Pat Besford Award for exceptional performance. 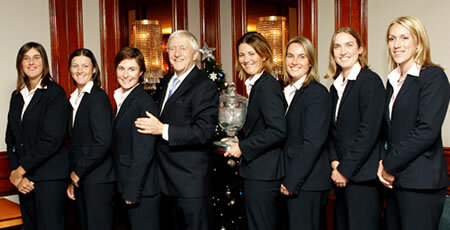 The awards lunch was also attended by seven members of the Ashes-winning England women’s cricket team, who collected the SJA President’s Award from Michael Parkinson after winning their version of the Ashes for the first time in 42 years. But the first award of the presentations, and the first standing ovation, went to Lord Coe. A four-time SJA Sportsman of the Year, on this occasion he was presented with the SJA Committee Award on behalf of the bid team that had seen London win the right to stage the 2012 Olympic Games. It was, said awards committee chairman David Welch, the performance of the year. England’s men cricketers, and Flintoff, were away on tour duty, but a satellite video link to Pakistan, courtesy of Sky Sports and thanks to help from the ECB, allowed Marcus Trescothick to be seen by the audience collecting the Team of the Year Award, after pipping European Cup-winners Liverpool. For the record, Flintoff became the first cricketer to take the SJA men’s award since Len Hutton in 1952 – even Ian Botham in 1981 missed out, beaten in a sprint to the title by record-breaking Coe. The SJA Awards events are not just about a bunch of journalists having a massive beano, either: former boxing champion Michael Watson made the draw for the charity raffle, which raised nearly £3,000 for the North London Hospice, whose nursing staff had cared for Phil Sheldon, our friend and commttee member, who died during the year.